Cabaret Boulangerie is better than the best show in town: a fast-paced old school ‘floor show’ where the hottest stand-ups mingle with street dancers while the world’s best trombone player is next in the queue to perform. Skimming the cream from the top of Showbusiness, opera stars follow tap dancers who follow sketch acts, all headlined by a big name comedian. Cabaret Boulangerie lands at the St.James Theatre with a special edition on Tuesday 13th December to kick off your festive season. 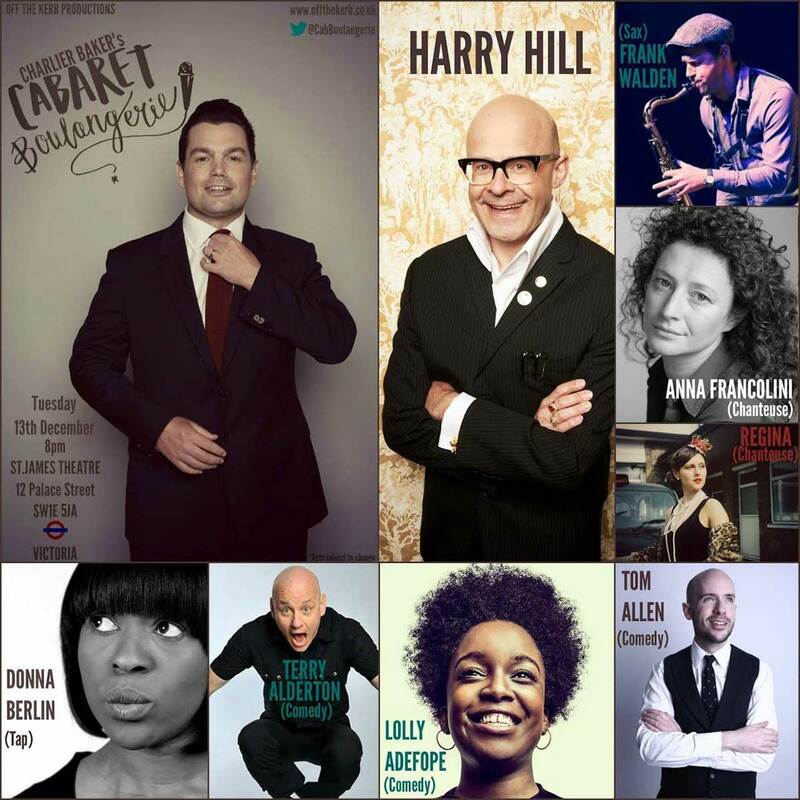 The line up for the evening is: Lolly Adefope (Comedy), Terry Alderton (Comedy), Tom Allen (Comedy), Donna Berlin (Tap), Anna Francolini (Chanteuse), Regina (Chanteuse), Frank Walden (Sax), Plus special guest HARRY HILL. Tickets are available from 0844 264 2140 or here.